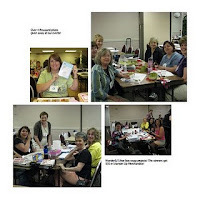 Come join us for some stampin fun this July in Salt Lake CityOur Late Night Stamper events start Monday July 19th and go until Saturday after the Stampin Up convention is over. 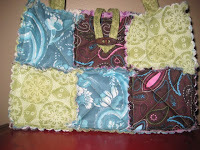 Here are some of the photos taken last year... look at all the fun projects we made! Many of these projects were created in our Show box swaps, we have one monday, one tuesday and one wednesday all from 2-4 pm. We swap in groups of 6 so it's not a lot of work. No need to rush... just take your time and enjoy the afternoon with friends. Here are some of the photos of a few of our Late Night Sampers. They are all so creative! 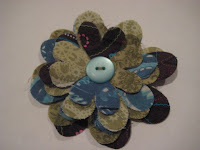 I love to see what everyone makes.We also have a 8am-1pm stamp camp on Monday and Tuesday. In the stamp camp 8 great projects are created. Our team of instructors are already putting together supply packets for some of the participants. We will wait until the discontinued list to make our final decision on which stamps to use. If you are up for it, we try and gather at the front doors for opening session at 6 am for photos. This photo only shows a handful of people but there are already 30 or more waiting in line for the doors to open.Both the Shilo and the Radisson have a sack breakfast ready for our group members because they know how early we like to go over to the convention center. Come join us, it's a bit early, but it's so much fun! Here are some of our friends making shoe box projects. Remember if you sign up to bring a 3-D project or a fancy card that will take 20 min to complete. We have a contest with each shoe box swap and the winners get $50 in stampin up merchandise! We try not to make a profit from these events. Once we buy supplies, and pay for the space rent, we use the rest of the money to purchase prizes that we give away in drawings. Last year we gave away over $4,000 in prizes!!!! If you would like more information on our pre-convention events please e-mail me at istmpnv@aol.comwe would be more than happy to have you join us.one last thing, We have been getting some sleeping rooms for our Late Night Stamper friends at $115 per night. That is a $30 savings of regular price. If you still need to book your sleeping room, we have some left at the Radisson on temple square which is on the same block as the Convention center. We are happy to share our good price with you. e-mail me at istmpnv@aol.com or call them and make a reservationRadisson Hotel Salt Lake City Downtown215 West South Temple, Salt Lake City UT 84101,Reservations: 1-800-395-7046 US/Canada Toll-freeTelephone: (801) 531-7500 Fax: (801) 328-1289Email: rhi_slcu@radisson.comPlan to attend Convention 2010 with us on July 21-24, 2010OUR LNS events start on Monday July 19th andend on Saturday July 24th with Patsy's WOWevent after convention is over.Send your payment to istmpnv@aol.com using pay palor mail a check toSherrill Graff605 Kendrick PlaceBoulder City NV 89005if you are sending a check e-mail me and let me knowso I can hold your spot.Monday July 19th will be a 8:30 AM stamp camp 8 great projects $90 OPENMonday Stamp Camp projects are the same on both daysMonday 2 PM shoe box swap $35 OPENMonday Night 7 PM WOWevent by Tami $10 OPENthe WOW demonstrations are different on both days.all at the RadissonTuesday July 20th will be a 8:30 AM stamp camp 8 great projects $90 OPENfollowed by a tuesday 2 PM shoe box swap $35 OPENthen the Tuesday Night 7 PMReunion party 3 fun projects$35 OPENall at the RadissonWednesday July 21Anything New Swap 75+1 at the Radisson behind Convention on sign in dayWednesday Sign In Day 2pm-4pm Shoe Box Swap Hosted by Mary and Brenda $35 OPENat the Radissonthen a Saturday July 24th 6 PM WOWevent by Patsy $10 OPENat the Radissonthe WOW demonstrations are different on both days. Hola Amigas...These are pictures from Solimar's Bird-day Party. The children had a BLAST. 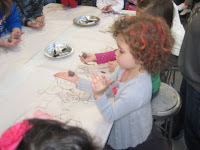 We had Solimar's party at an Art Studio. The teacher Beth Daly was phenomenal. 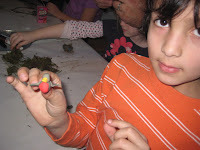 They each made a bird's nest, three robin's eggs and a robin out of clay. They were then taken outside to a nearb park to gather some moss. Beth was very informative. She taught them about birds, eggs and more before they started the project. All of Solimar's classmates were there except for 3 and of course all of our family. 1st pick is showing them making the actual nest. AND yes Solimar's hair is colored. It was spray painted to match her DIVA outfit. 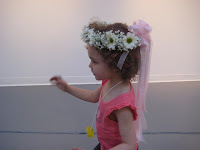 2nd pic is of her with her flower crown that her Papi bought her. My hubby is such a sucker for Solimar. The sun necklace she is wearing was made by Beth for Solimar. It was really nice of her to do that...3rd pic was 1 of MANY highlights for Solimar. 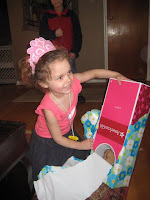 She got her very own American Girl Doll. She has been wanting one for quite some time. My mother and I went half and bought her the doll and TONS of outfits and accessories. We purchased Lanie, the Girl of the Year. 4th pic is my nephew Aramis showing off his bird. He did an AMAZING job. 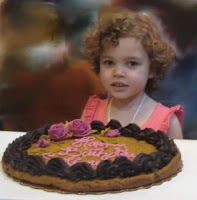 and last is Solimar and her cookie cake. She wanted something different and children and parents GOBBLED it up. There was nothing LEFT! I will show more pics soon! Hola Amigas...I am sorry I have been absent. The Royal Blog Tour is keeping me super busy. We will be featuring 60 princesses and 5 Honorary Queens. You can't miss it. The dates are April 30-May3. 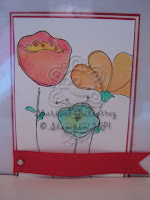 I will be featuring two new stamp sets from the Summer Mini. 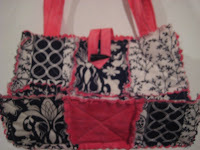 Well I decided to bring out Fifth Avenue Floral. I love this set but you get new sets and your forget about the old. SO SAD! 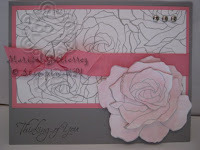 The second card (not sure if you can tell) is 3D. 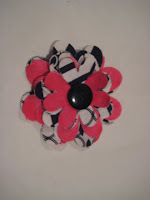 I cut the flower three times and then layered them on top with Stampin' Dimensionals after painting shimmer white paint ALL OVER IT. 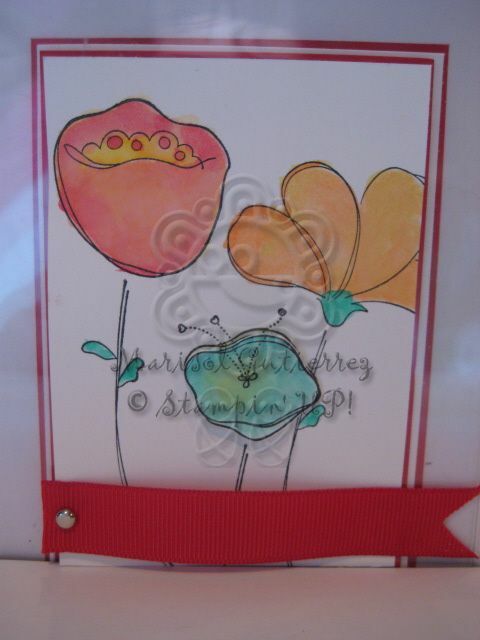 I don't use gray very often but I love the softness of this card. 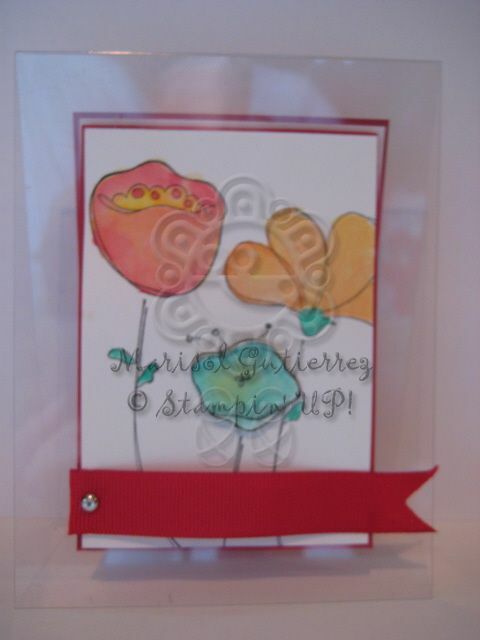 The first card I actually made in red for my neices Thank You cards but also wanted to see it in Melon Mambo. 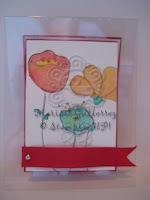 The three flowers are raised with Stampin' Dimensionals. 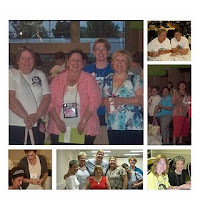 Patsy's WOW event after convention is over. All events have prizes and give-a-ways.